Overseas Home, Why France is the Best Place For Overseas Home? France, The Best Place For Overseas Homes? What Makes France The Best Place For An Overseas Home? France remains one of the most popular countries with U.K. buyers looking to purchase a overseas homes, being second only to Spain. It is easy to explain the ongoing popularity of Spain as the climate makes it a really good destination for the winter months. A small flat in a Spanish holiday complex suits people who just want to get away from the grey days of winter in the U.K., usually for longish breaks. However, the continuing popularity of France needs more explanation for anyone who does not already know and love the country. Why do so many buyers of overseas property want to buy property in France? France does not boast many cheap holiday flats or golf course properties. France does not have a reliably warm winter climate, it has lots of sun but there is usually a chill in the air. France has not become a ‘little England on the Med’ where fish and chips and a full English breakfast are readily available and English is widely spoken. So, why the popularity of France for people wanting to buy overseas homes. France is great for people looking to buy a property for holiday or full time use? Nearly all our clients give the same reasons for wanting to buy a house in France. The café culture, the local markets, the climate, the festivals and fêtes, the variety of landscape and the traditional lifestyle. Many add to this the fact that they can access a house in France by driving to it rather than cope with the hustle and bustle of airports. Why dream of buying property in France? Thinking about buying property in France? Is it wise to buy property in France? 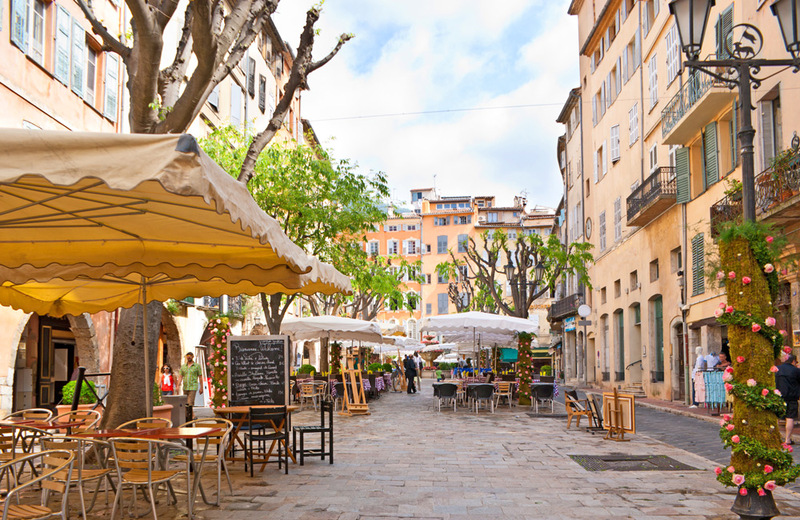 Cafés exist in abundance throughout France, they merely change in nature in different areas. They are at the centre of French social life; locals will meet in their preferred café in the morning before going to work, often requesting a ‘noisette’ (a small strong coffee with a dash of milk which gives it the colour of hazelnuts – hence the name). Conversation will usually cover the day’s news, using the newspapers provided by the proprietor and the metro (weather forecast), although you can be pretty certain that those who request a glass of red wine are likely to be agricultural workers and they may be more interested in the state of their crops. Many morning visitors will return to the same café for a plat du jour at midday and even for an aperitif in the evening. Most of the local community will strongly favour one café over another. Some won’t be seen dead in the Café de la Bourse and others vehemently argue that they will not drink in the Café de la Marie. To the visitor there appears to be little difference! Apart from being places of refreshment French cafés are important as places to share conversation and ideas. Some cities, small towns and even some villages have a café which has regular weekly or monthly open sessions to discuss philosophical matters (Café philo). Normally the date and topic for discussion will be advertised on a local lamppost as well as in the café. For any newcomer to France it is well worth risking an evening at one of these events. You may not understand much but you will certainly feel part of the community. The good news is that whatever type of café you are drawn to, you will certainly feel at home with the abundant choice of cafés in France. Markets, as well as cafés, are an inherent part of life in every village, town and city in France. Many places have different markets on different days of the week and month and it is the rare community that never has a market. Needless to say, food is at the heart of almost every French market. Touching, squeezing, smelling and sampling are all essential parts of the buying process, as is finding out exactly where the produce has come from and the name of the producteur. Anything that has travelled more than 50km to arrive at the market is looked on with suspicion and produce grown within 2km or 3km is thought to be better and safer. Buying a property in France will almost certainly give you access to a wonderful selection of fresh, local food throughout the year. Markets are not only for shopping at, they are also important social events and nowadays they also form an important part of the tourist offering. Throughout my years of travelling in France I have drawn up a list of my favourite markets and now try to plan my visits to ensure that I am around on market day. Some are so very special! Produce being sold obviously varies according to the time of year and the part of France. It’s pretty impossible to beat the markets of Brittany and Charente Maritime for sea food, Normandy for cider, apples and cheese, Central France for local delicacies, cheeses, charcuterie, cherries, wines and interesting aperitifs and digestifs. And, of course, it’s hard to beat the markets of the south of France for the sheer abundance of highly coloured tomatoes, peppers, aubergines, courgettes, peaches, apricots, figs, olives etc. Apart from the visiting weekly markets larger towns also have their permanent, covered markets. Not only do these offer and incredible choice of produce but they have also spawned adjoining cafés and restaurants cooking the food bought fresh in the market that day and selling it at very reasonable prices. Once you own a house in France you will, without doubt, discover your favourite local markets and like your neighbours, market day will be a special one in your diary! 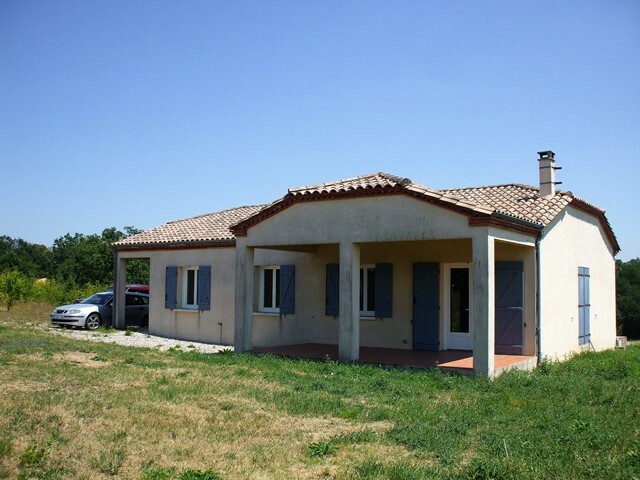 Why buy property in Aquitaine, France? Why buy property in Midi-Pyrénées? It’s hard to be in France during the summer without being aware of the nation’s love of festivals, fêtes and carnivals. Without travelling far you could spend nearly every summer day at a different event and many other days throughout the year too. Many of these events celebrate the harvest of different produce. Mimosa and lemon carnivals, fig festivals, wine festivals, cheese festivals, truffle fairs, chestnuts, olives and wine; each harvest is celebrated. Then there are the annual festivals and carnivals to celebrate special events, St. Valentine’s Day, Terrascon Dragon day, Saint’s days such as St. Joan of Arc festival, jazz festivals, film, dance, art and medieval life, all are a reason to celebrate and a good excuse to have fun with friends and neighbours. Almost every festival will include an evening dance, local band and a community meal and will continue well into the night. If you find it difficult to miss festivals in August in France you will also find it difficult to spend a Sunday in France without realising the importance of family life and the tradition of spending the day with as many of the extended family as possible. Unlike Brits who rush to pubs for the Sunday roast, most French families will be cooking at home in the winter and sharing a picnic in the summer. The shared meal will usually last for several hours and will be followed by the Sunday promenade. Children will be expected to stay at the table during the long meal, they will be expected to eat everything put in front of them and will listen to long discussions on the quality of the food and wine and the state of the country. A French childhood remains quite different to an English one; children are expected to show respect to all around them and to be proud of their family, their local community and of being French. I fear that all this will change in time and it probably is already changing in the towns but I sincerely hope that rural France manages to maintain its pride in its festivals, its traditions and in its Frenchness for a long time to come. Do you really want to buy a French property? It really is true that France has something for everyone when it comes to choosing a special location. As the old joke goes – when God created France he realised he had given it everything, oceans, rivers, lakes, mountains, forests, gorges and plains. In an attempt to correct this he gave them French men! Politically pretty incorrect but it does sum up the variety of landscapes on offer in this special country. Not only is there a huge variety of scenery with which to surround yourself, there is also a variety of climate from the north with a climate similar to the south of England right down to the sun and heat of the south of France. The climate affects the use to which the land is put so you can choose from rolling meadows with grazing animals and orchards in the north, to sunflower fields in central France and down to the vineyards and olive groves of the south. The landscape also determines the leisure activities that an area offers. Sailing, surfing and making sandcastles along the coast, walking, cycling by canals or in the hills, water sports and swimming in the lakes and skiing and trekking in the mountains. The climate affects the lifestyle and although throughout France there will be some days in the year when you can enjoy the outside café culture, the further south you head the more of life is lived outdoors. When it comes to diversity of landscape France really has it all for your new overseas home. No wonder so many prospective property buyers give this as a reason for wanting a home in France. Not only can you find just the right combination of climate and landscape to suit your requirements but you are never that far away from being able to enjoy something different. It’s hard to believe but there are parts of France where you can surf in the sea in the morning and ski in the mountains in the afternoon! 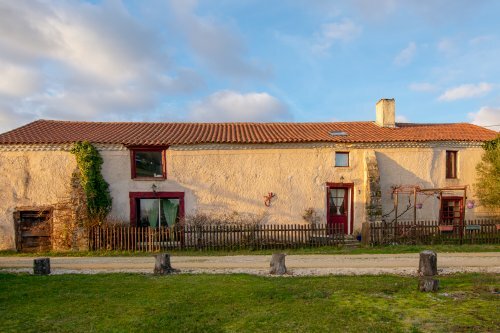 Is 2019 the year you should discover why France remains such a popular place to buy a second or permanent home with people from all over the world? I have not mentioned the beautiful French properties at amazingly low prices, that’s for you to discover when you check out properties for sale on our website. If you find all this interesting why not give us a call for an informal chat about your plans and how France could fit into them?